In the wake of Freddie Gray’s death, while in Baltimore police custody, City Prosecutor Marilyn Mosby quickly filed charges against six police officers. Now they’ve been indicted on various charges. 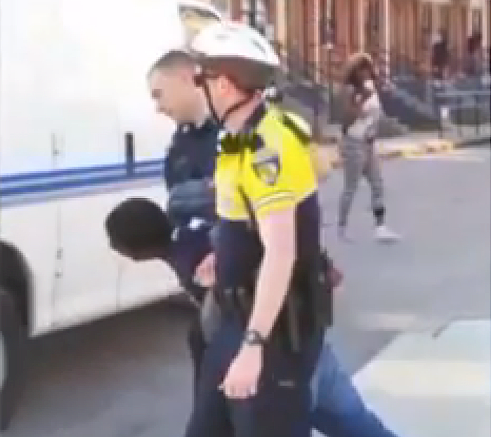 Based on inconsistencies reported from the outset, one wonders whether these charges and indictments were merely eyewash to get infuriated Baltimore residents and outside agitators to back off, calm down and stop protesting. The local police union is clearly complicit in the politicos’ deceitful buy-time game plan, and has played its part well—defending the “Baltimore Six” to the hilt, and making as many wild claims as the media and prosecutor. Prediction: None of the Baltimore Six will be convicted, most, if not all, charges will be dropped and all six will be back on the job within months. These officers are pawns in a cop union-politician gambit, whether they know it or not. Not a single officer will be sentenced or serve time for his or her role in Freddie Gray’s death. The longer this case drags on, the less we’ll hear about it, and all charges will quietly vanish. But the Baltimore union’s arrogance and take-it-or-leave-it strategy is backfiring: Millions of citizens across America are fed up with arrogant, me-first, above-the-law police unions and badged thugs. Embarrassed good cops are leaving police unions in droves, and that movement will only accelerate (eg., ~300 Las Vegas Metro officers have abandoned the LV Police Protective Assn., and the union’s directors recently fired the PPA’s arrogant director, Chris Collins, for alienating the entire county’s citizens). Eventually, Americans will wake up, realize that cop unions are a bad idea and get rid of them. That is, if good police officers don’t do it first.